The one-armed man is arrested in Los Angeles for fighting and police want the story highlighted in the newspaper to try and lure Kimble into capture. Lt. Gerard agrees to work with Kimble for 24 hours to prove his innocence, because someone who may have been there when his wife was killed, posted bail for the one-armed man. 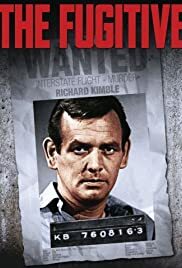 Narrator: The Fugitive, a QM Production, starring David Janssen as Dr. Richard Kimble, an innocent victim of blind justice, falsely convicted for the murder of his wife, reprieved by fate when a train wreck freed him en route to the death house; freed him to hide in lonely desperation, to change his identity, to toil at many jobs; freed him to search for a one-armed man he saw leave the scene of the crime; freed him to run before the relentless pursuit of the police lieutenant obsessed with his capture. Q: What are some unusual episodes? Q: What is the basis for the show? Q: In how many episodes do Kimble's family members appear?